When I was packing to come to Mozambique I knew I had to take some of my favorite cookbooks and recipe magazines with me. So I sat down and started looking through all my recipes and put a few books/magazines aside that I use most often. One of my favorites is the old Martha Stewart Everyday Food magazines. 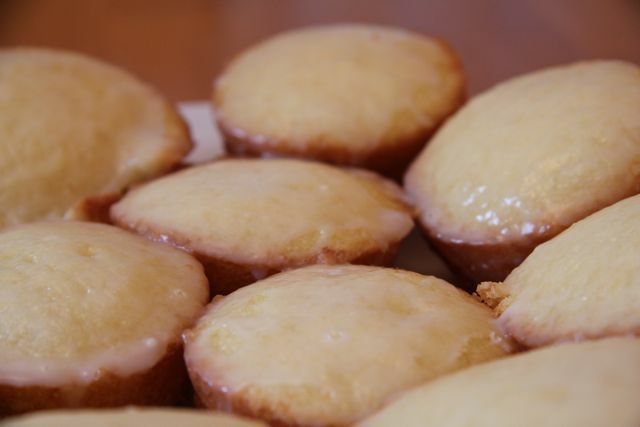 I found this Glazed Lemon Cakes(recipe here) inside and decided to give it a try. I loved it but when talking with a friend we were saying how much we love Almond flavor and she wondered if I could make them Glazed Almond Cakes instead. I figured why not. So here is my recipe, adapted from Martha Stewarts Glazed Lemon Cakes. Preheat oven to 350 degrees. Butter and flour a 6-cup jumbo muffin tin(I used a 12-cup muffing tin). In a medium bowl, whisk the flour with the baking powder and salt. In a small bowl, whisk together the buttermilk, almond extract, and 2 tablespoons milk. Set aside. Set rack over wax or parchment paper. In a small bowl, stir confectioners’ sugar with 2 tablespoons milk and 1/2 teaspoon almond extract until smooth. 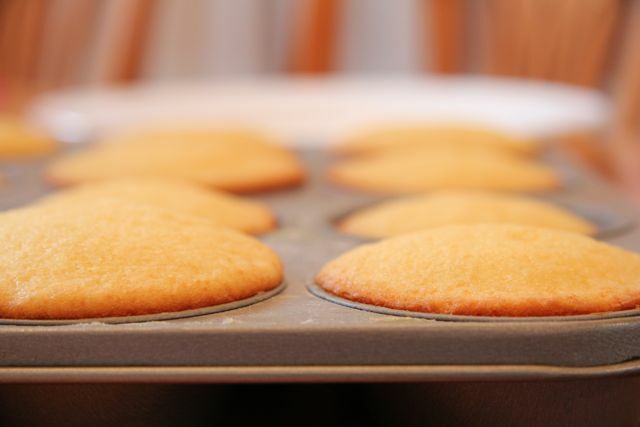 Pour over cakes, spreading to edges with a small knife. Let set 30 minutes. This entry was posted in food, recipes on April 28, 2011 by Deanna.